I finally bit the bullet and sewed up some Christmas stockings for our family. I bought this fabric close to 10 years ago, and really, I'm glad I didn't get around to it until now, because there were only two of us back then so I'd have been making more now anyway. My biggest hang up with making the stockings was that every template I came across just seemed so small. We've been using some cute, cheap, but too small stockings from Walmart for the last few years, and I hate having to cram everything into a stocking that's so tiny. 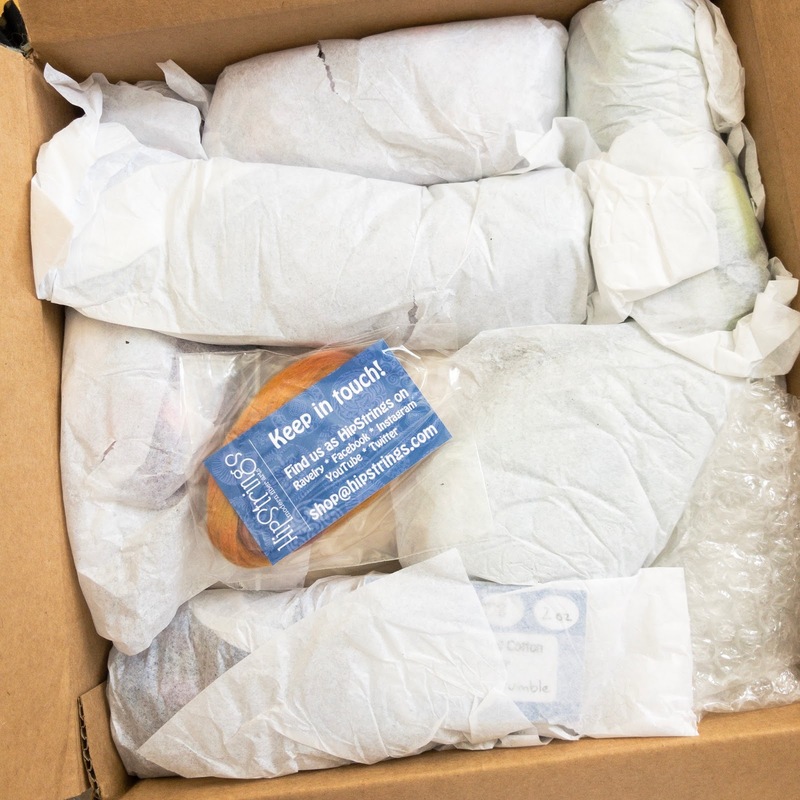 Our stockings always get filled with at least one package of socks for each family member, and they are soooooo difficult to fit in most stockings. I liked the general shape and style of the stockings in the Fabric Worm tutorial, but it was still a bit small. 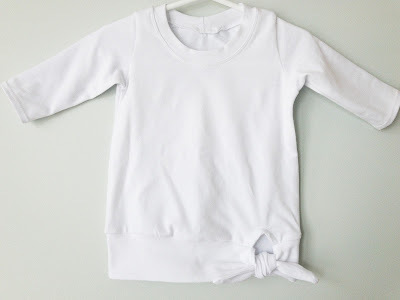 I ended up printing out the Fabric Worm template, and I did some slashing and spreading, and came up with this. I cut vertically down the leg of the stocking, then horizontally across the middle of the leg, and again horizontally across the middle of the foot. I laid out the pieces on a big piece of craft paper (from an ikea roll) and taped them down in an expanded fashion. I widened the leg piece by 2.5" (so I total of 5" once it's assembled) and I added about an inch everywhere else. I had to re-draw the heel and toe to make things line up and still look 'right'. The cuff had to be recalculated too, since I added width, so I ended up cutting the cuff piece at 21.5" x 9", the batting for the cuff at 21.5" x 4.5, and that worked out well. I think I'd cut the cuff at 21" wide next time, maybe 21.25", since the cuff seemed a little bit too long to fit inside the stocking when attaching it to the main part of the stocking. 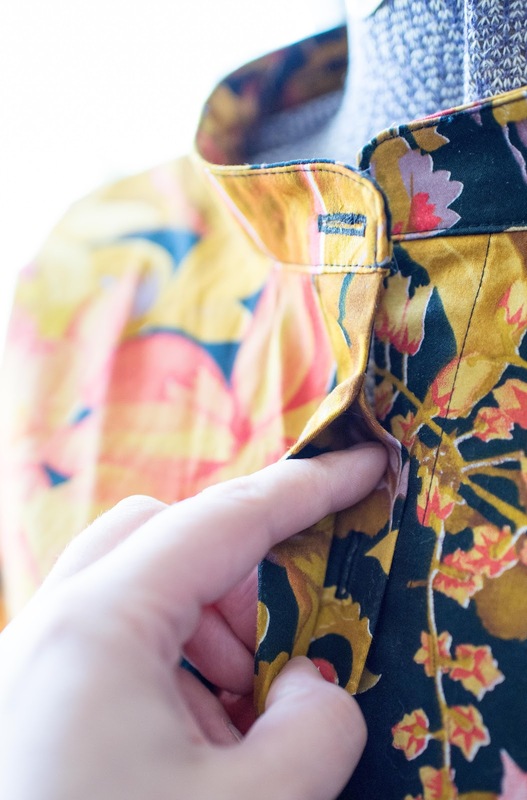 Having that fold-over cuff makes sewing very forgiving though, so you really can't tell. I also added a fabric hanging loop, and cut a piece that was 6" x 3", and folded the sides into the middle (hotdog style) and then folded them together again (hotdog style), which left me with a strip that was 6" x .75". I opted to sew a line of stitches down the open edge to keep things together. 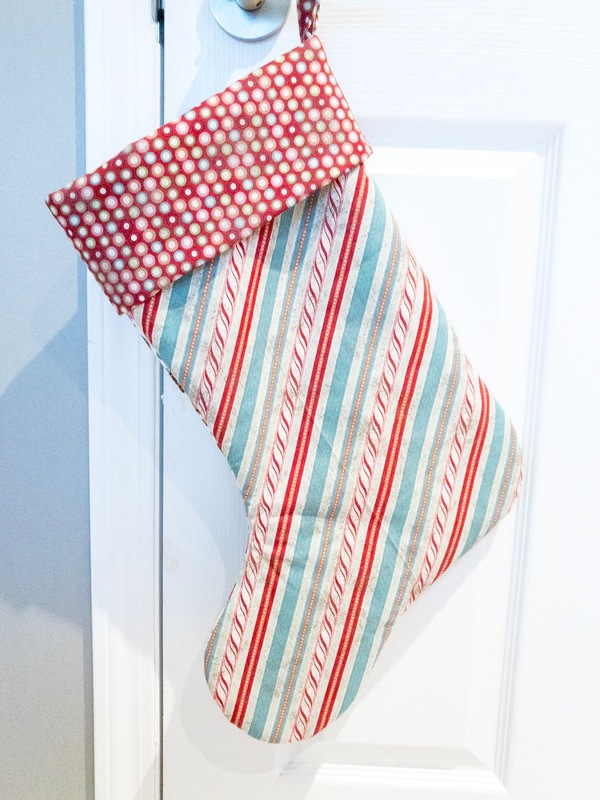 When it came to attaching the loop to the stocking, I didn't want to just sew it along with the cuff, so I actually basted it in place on the stocking first, then pinned the cuff on and sewed everything up with my walking foot. I figured this would not only secure its placement, but also make it a little more sturdy. I made ample use of my pinking shears as I sewed up the pieces of the stocking, which helped reduce bulk and let everything lay properly. Around the top of the stocking where the cuff is sewn to the main body of the stocking is currently unfinished, and since I don't plan on washing these stockings (famous last words, I know) I might just leave it unfinished. 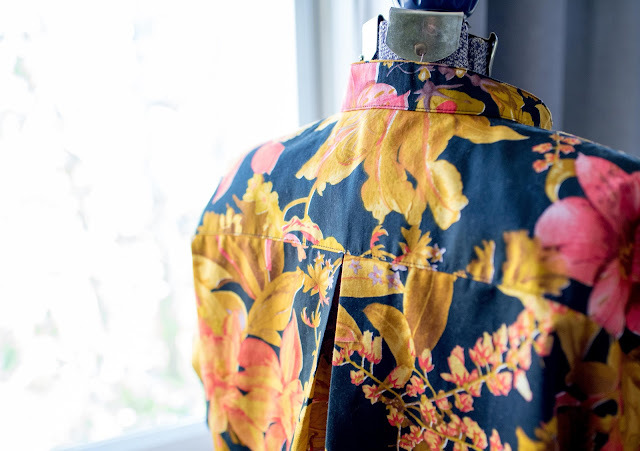 If I'm feeling particularly lacking in things to do at some point, I might run that seam allowance through the serger just to finished that one seam off. 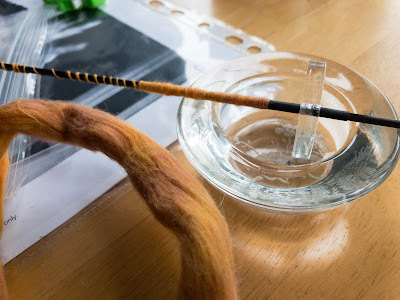 I followed all of the directions for the Fabric Worm tutorial, except where noted here. My results look so (surprisingly to me) professional! 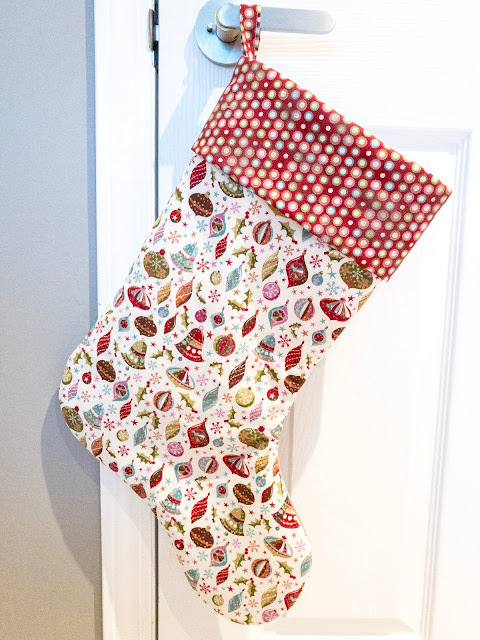 I'm really happy with the finished stockings and I look forward to using them for many years to come. Let me start by saying how much I love the recipes from The Kitchn. I don't think they've ever steered me wrong. I actually made some delicious pumpkin muffins earlier this week, which I completely forgot to photograph, so I'll talk about them next time I make them. Today I made Spiced Pear Muffins. They're great. Perfect fall food. Leaves turning red? Make these muffins. I'm currently eating one alongside a cup of Forever Nuts from David's Tea. Perfection. I ended up using bosc pears for the first time ever. Usually I get bartlett pears and use them for everything, but when I stopped in at the grocery store this morning, all their bartlett pears were several days away from being ripe, and I wanted them now!! The bosc pears worked great, I'd use them again in a heartbeat. So, for the recipe, I didn't do what I was told...using a mixer when it comes to muffins...I don't know, it just seems...wrong. I melted the butter (and upped it to 2 sticks...because I'm evil and it makes the best muffins ever to up the butter), mixed all the wet ingredients in one bowl, all the dry ingredients in another, then lightly mixed the wet ingredients into the dry, followed by folding in the pears. I always forget that I'm a 'mix the sugars into the wet ingredients' baker now. I love the way things mix up when I do this (almost as much as the life-changing effects of bringing your milk and eggs to room temperature), but I almost always forget! 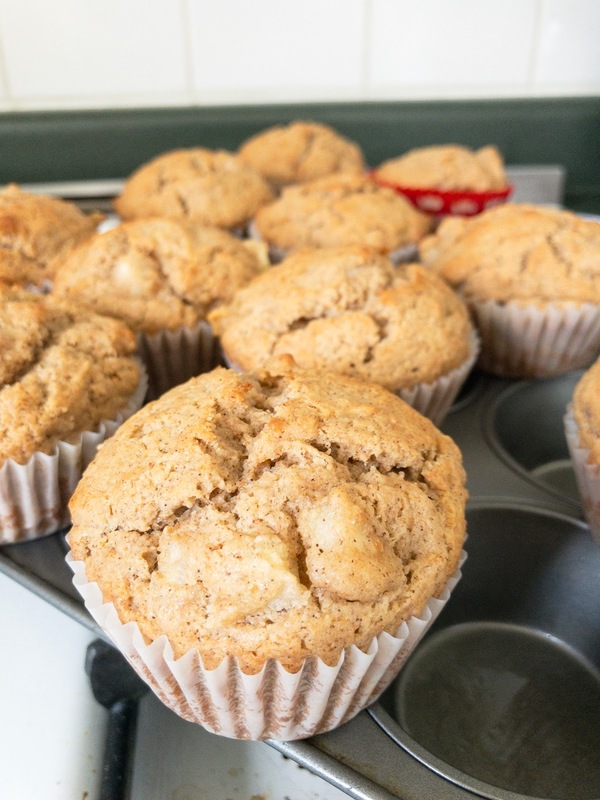 Delicious muffins, great texture, nice spices next to the pear. A winner. I'll make these again. Ooh, also, no sugar on top - too messy! I don't want to have to follow the kids around with a broom anymore than I have to. 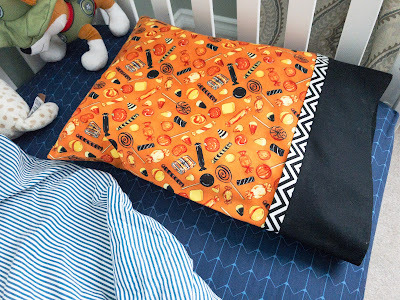 Late last night I decided that both kids absolutely needed Halloween pillowcases for their toddler pillows, so I set out to find a tutorial. 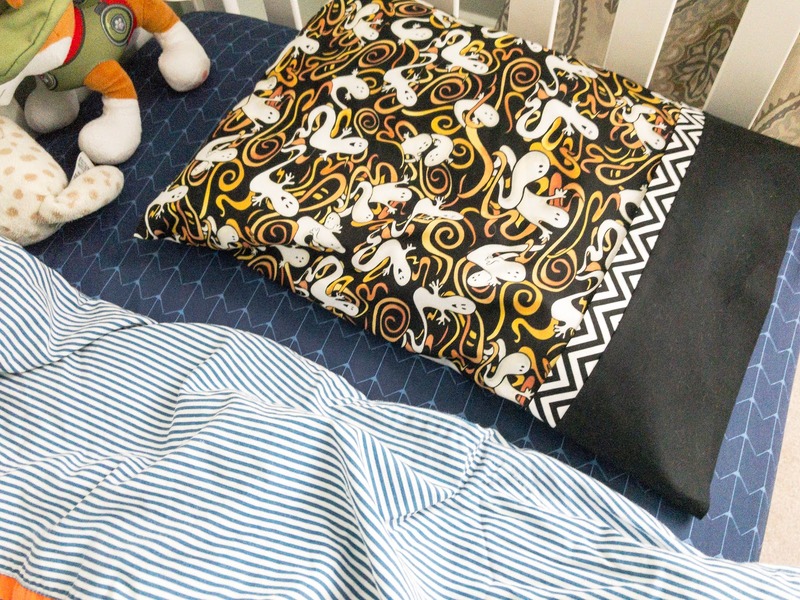 I had seen a mention of the 'burrito method', which I was familiar with from sewing the Kalle Shirt by Closet Case Patterns, but I couldn't really picture how it would be used on a pillow case. 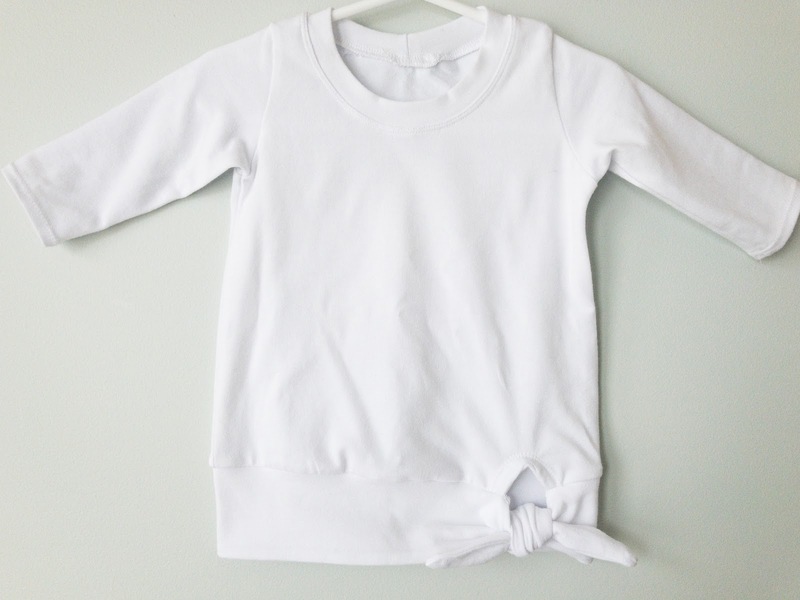 I ended up finding this YouTube video that told of a 15 minute toddler pillow case using the burrito method, and it was super clear on how to get this easy process to work. More like 'burrito magic!" 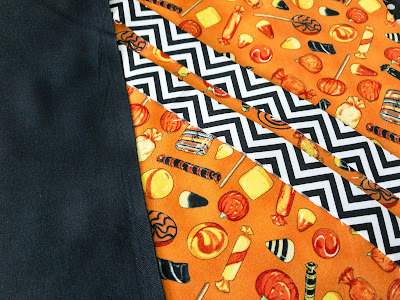 I have a small stash of Halloween fabrics from a quilt I started a few years ago (and mostly finished, the top anyway), so with those leftovers, and a few from my bag making days (the zigzag fabric), I got to work. I had hoped to be able to make the kids matching pillows, because they fight over everything, but I didn't have enough of any of my Halloween fabrics, so they'll just have to fight over them. Both of the Halloween prints are from the same collection - Boo Who? by Jerianne Van Dijk, Licensed to SSI. 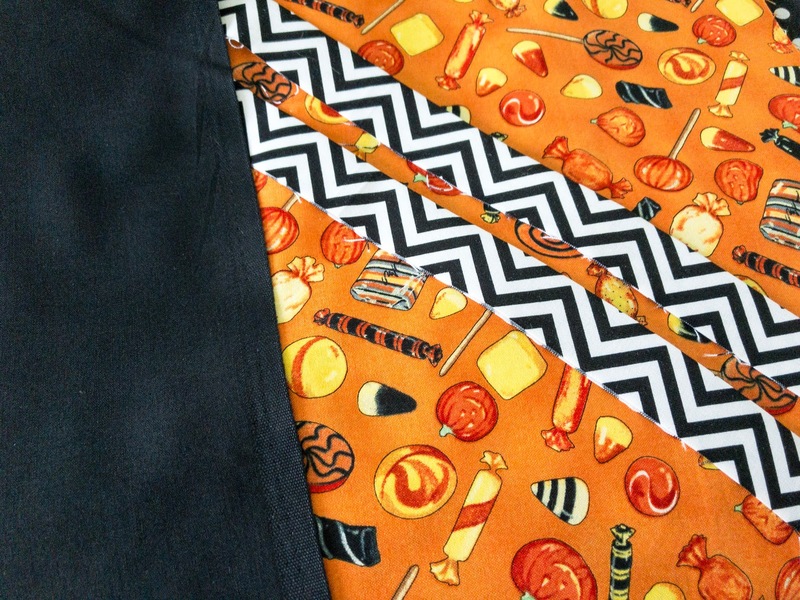 I really wish I had bought more of these fabrics at the time, since I definitely want more, but they've been in my stash for years now. 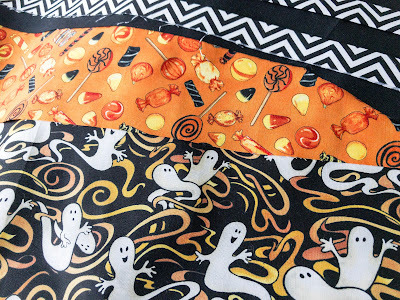 I did a cursory search online for more of this collection, and was reminded that there are a million new Halloween fabrics that I'd also like to try. LOL!! We have the ikea toddler/cot pillow, and it seems a bit big for these pillow cases - it hangs out the end a little (creative photography hides this). With that in mind, I'd add 2 inches to the main fabric piece, so it would measure 30" x 18" instead of the 30" x 16" it measures now. Other than that, it's perfect! I see many more of these in my future, and the kids love them too. For my second bra, I used the Boylston bra pattern from Orange Lingerie again. This time I made a few changes though. I reduced the band length by 1/2 an inch (1/4 inch from the right and 1/4 inch from the left, so the pattern piece was only reduced by 1/4 inch). chain piecing as much as I can...can you tell I started out as a quilter? 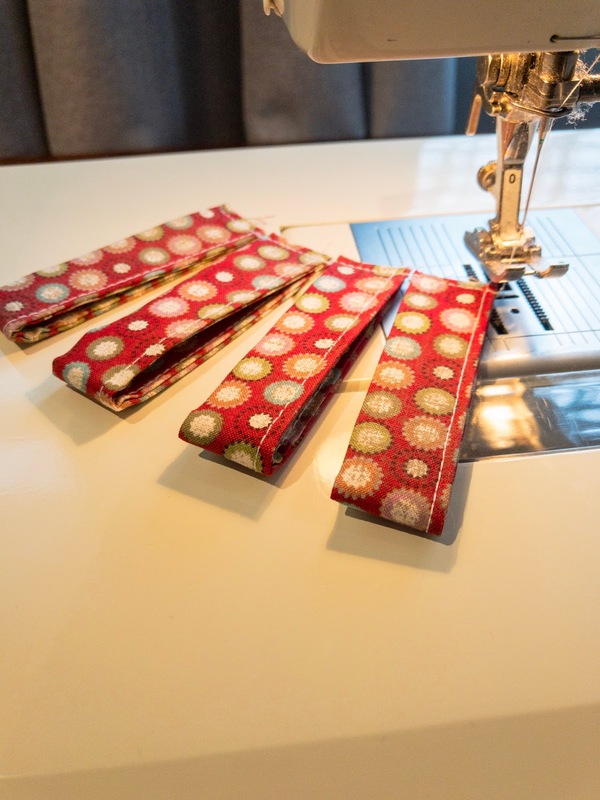 I also reduced the width of the fabric straps by cutting off the seam allowances from each vertical edge (leaving the horizontal edges alone). This left enough space for my 3/8 elastic to be applied and turned at the narrowest point, but not a whole lot more. I also top stitched the edge opposite the elastic, which I think looks a million times better. These two alterations are in addition to widening the bottom of the bridge by 1/4 inch that I made to the pattern last time, and cutting a 32DDD with an increased band width (overall after this time's alterations, each side of the band had 2.75 inches added to it). 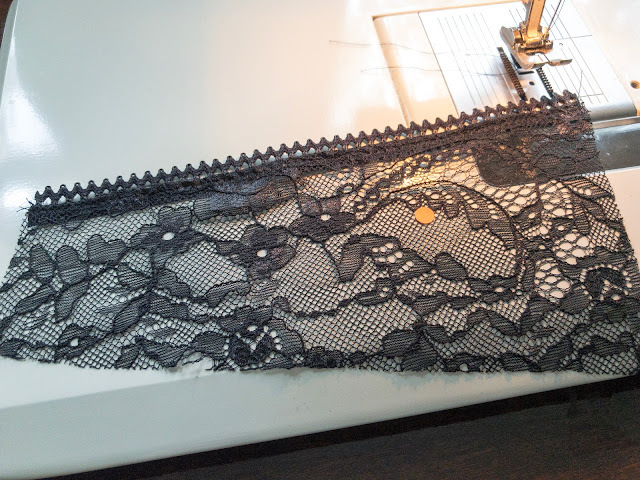 Again, I lined the entire bra (minus the band) with 15 denier, but changed things up with a swiss dot stretch mesh outer fabric (instead of the non-stretch lace from last time). I figured the 15 denier would keep the support I needed. WRONG!! The 15 denier/stretch mesh fabric combo doesn't have enough support. It actually looks okay, but is is so uncomfortable. I don't enjoy having my b00bs resting on the top of my stomach when I sit down, and having them do this in coarse feeling stretch mesh is terrible! Yuck!! Needless to say, I won't be using this combo again. 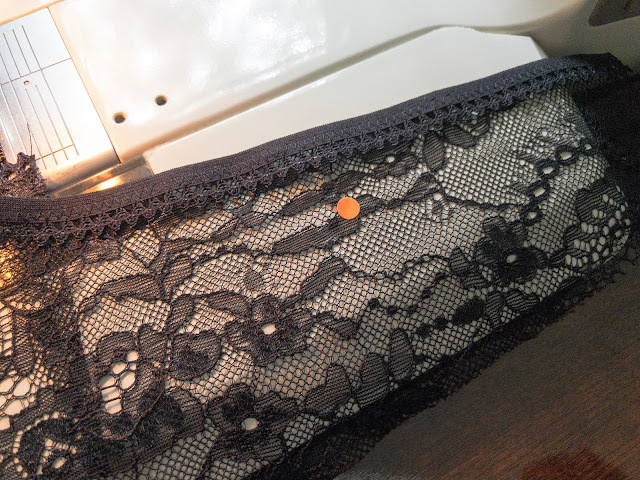 One last change I made to this bra (vs the last one) was using size 44 regular underwires (from Bra Maker's Supply), which I had to cut at the center to make them fit. The cutting went pretty well (I used a Sharpie to mark where I wanted to cut and bolt cutters to snip them, followed by a file to get rid of the super sharp edge, and then heat shrink tubing). The size 42 underwires are definitely much more comfortable on me though, so that's what I'll be buying going forward. 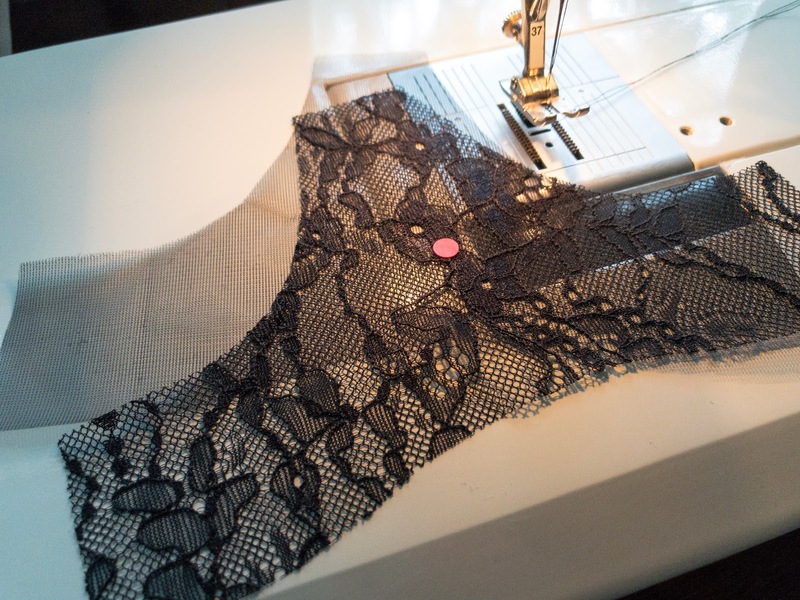 I finished sewing the Boylston Bra by Orange Lingerie last night. It fits! I can't believe it! And it actually looks good. Honestly, I was surprised. I wasn't expecting it to both fit and look good, but it does. 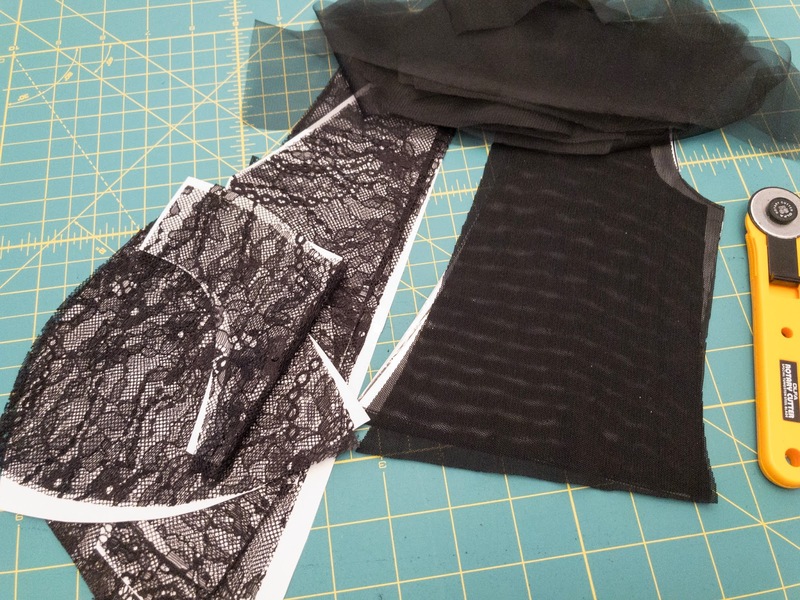 Once I had narrowed down a size (through 3 woven cotton (not recommended) muslins) it took me 2 naptimes and 3 full evenings to cut and sew this bra. I used the instructions from the pattern, along with the Craftsy Bra Making Construction and Fit class. 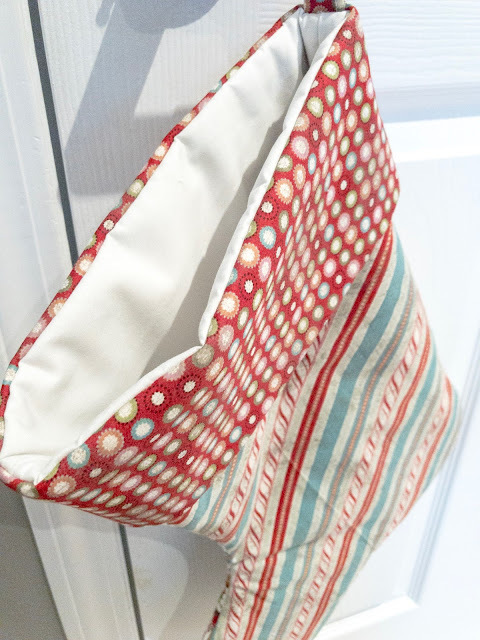 I would not have been able to achieve the results I did without the Craftsy class. In my opinion, the Boylston Bra pattern isn't written for someone who has never ever made a bra before. 32DDD. 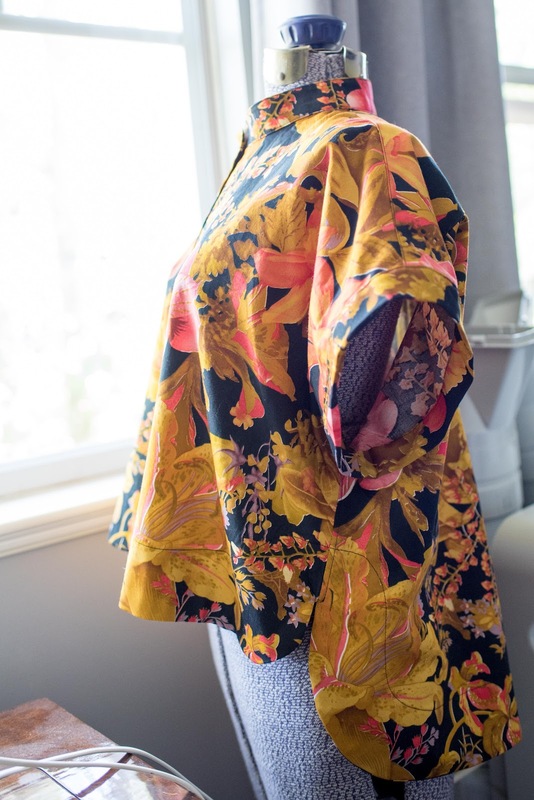 (I should have bought the smaller sized pattern, because I'm not my RTW size in this (also, the sizing is confusing, as DD appears to be an 'E' in this one?). I used the sister sizing/bottom cup depth info that I posted about a few days ago. I sized up the band to a 38 by adding a total of 6" to the band (3" on each side). I should have added slightly less than that, because my band could stand to be about 1/2" shorter (I'm on the tightest hooks). 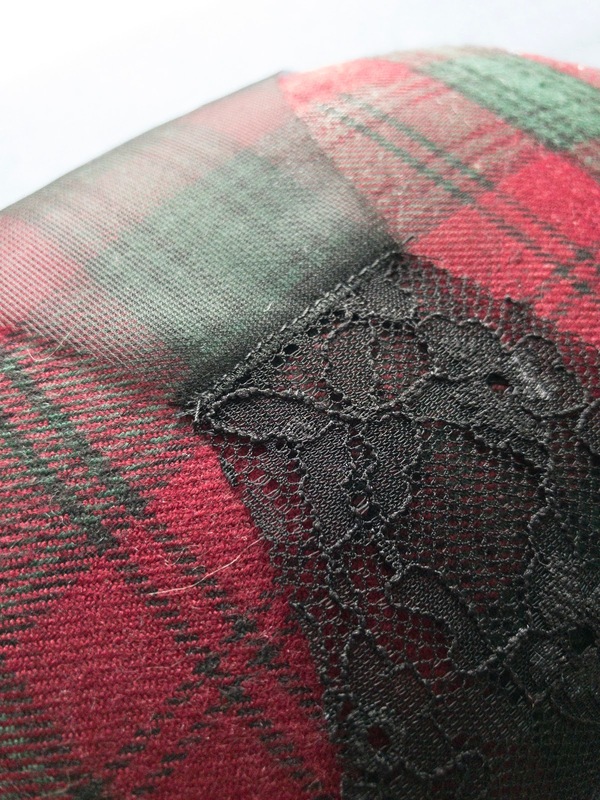 Non-stretch lace, 15 denier lining, powernet (the non-stretch lace and powernet were from Fabricana, and the 15 denier lining was from Bra Maker's Supply). I fully lined the lace, so everywhere that has a layer of lace in this bra also has a layer of 15 denier. 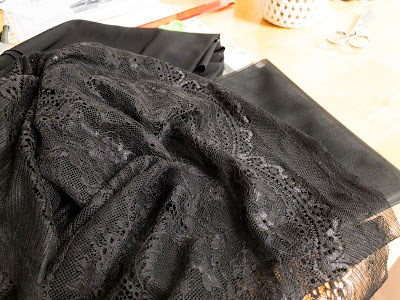 I should have bought some fabric adhesive, and I learned that basting with the lace side down (feed dog side) is the only way to control these two layers. I bought fabric adhesive for next time. For the strap elastic, you basically have to have a mostly fabric strap, because there was only 20.5" of strap elastic in the kit (10.25" for the entirety of each strap). Particularly a bummer, because I have 2 more kits that I had planned to do fully elastic straps with and now I know I won't have enough. Size 42 regular underwire from Bra Maker's Supply. 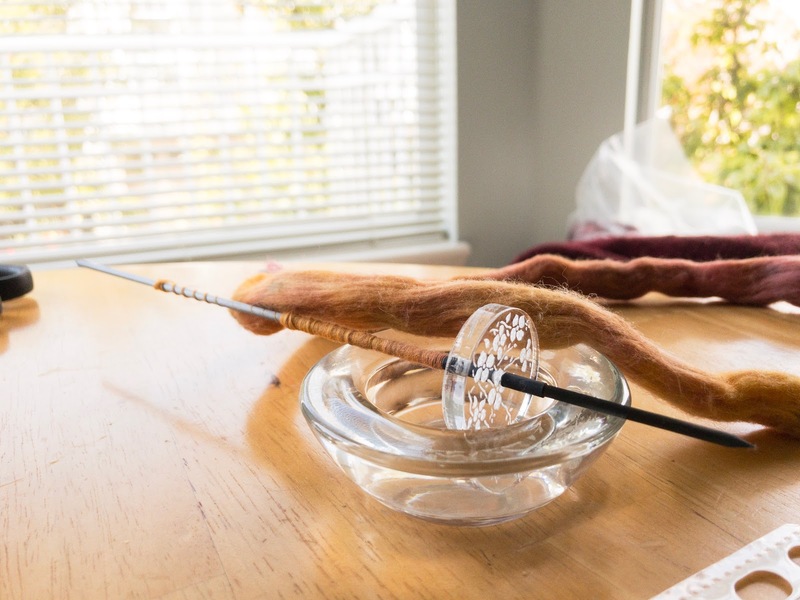 I bought a 42, 44, 46 underwire in the regular and the long lengths, and the regular fit well in the Boylston, and the 42 fit my body well and fit in the bra too! I think I will likely be able to use the 44's in a future bra (perhaps I'm a 43? haha), but the 46's are definitely to wide and too long. I have to say, I'm pretty impressed with myself on this one! 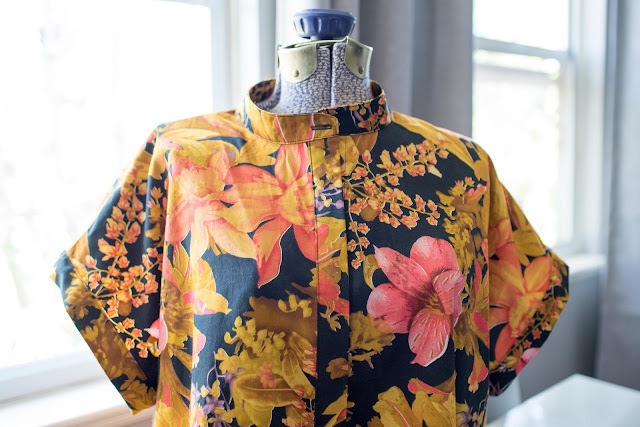 It was super unfamiliar construction, difficult fitting, and tricky fabrics, and I ended up with a great result! The stitching on the top of the right cup feels like it needs some stretch, but I think that has more to do with a bit of a seam allowance issue in working with the two slippery fabrics together. Although, I wonder if I would have been better off using a zigzag stitch on that seam. I also don't really like the lace for the straps. It just feels too delicate. 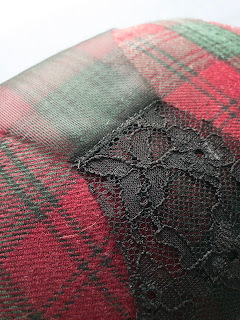 If I was going to make another lace Boylston I would likely do full elastic straps. 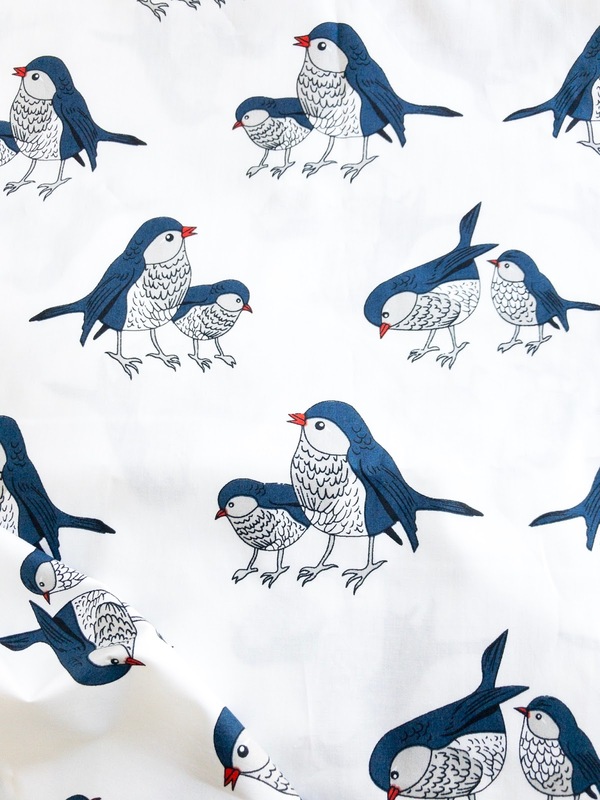 I think the neck side of the straps would have benefited from some top stitching, as well as the top of the cups, but that could just be because of my fabric choice. I think I'm going to try a Marlborough Bra next.